Platinum. With a channel-set Brilliant-cut Diamond. 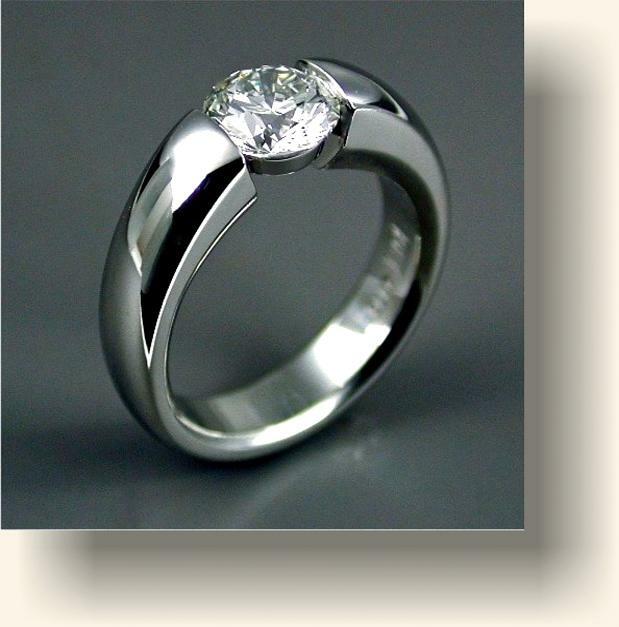 A ring, beneath the gem's girdle, strengthens the connection.